I love this quote, and mentoring, for me, has been the backbone of creating hope and development in my growth. Mentoring has been one of the best investments of my time and energy and has contributed greatly to my focus on continuous learning. Having been a mentee (both formally and informally), and having learnt so much from those who have shared with me – I am now in the position of being a mentor for others, which is a different kind of learning. To be clear, that doesn’t mean I’m done with being a mentee, there’s still heaps of learning ahead! When a goal is achieved credit to the team, when something flops it’s all on the leader. I think so much of learning is about modelling. When you become a parent, one of the most confronting lessons is that no matter what you say, your kids will do what you do! So, those aspirational behaviours that the pre-kids you always knew you would absolutely insist upon, actually has to be lived to really take. It’s common sense, but it’s very difficult to appreciate until you’re in it. I have followed Colin Ellis and last year was a participant at one of his courses. I wish I had written the ‘Common Sense Manifesto‘ – just the act of committing it to paper is perhaps the thing that makes the most sense! Colin has a way of simplifying and articulating ‘common sense‘ that can be used in your personal and/or professional day. I encourage you to have a read. I feel strongly that there is another point in there somewhere about not wasting [time, attention, raw materials, energy]. Many times in my life I have looked at situations and people and felt that what was lacking was a strong dose of common sense. To me, having a great mentor relationship fits in nicely with common sense manifesto number 6: ‘Never Stop Learning’. 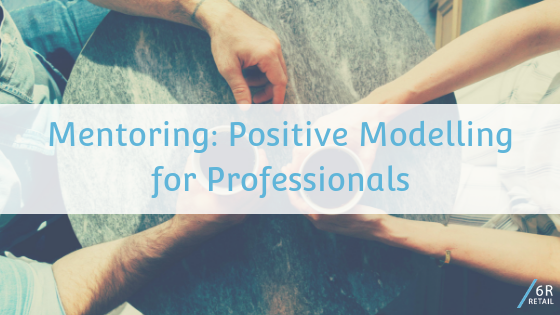 How can you keep learning when you don’t have a formal mentor relationship in place? A friend who has recently started running their own business asked me how I get mentoring in my own business life. Reading (and Listening): I read and I listen. A lot. In the car, on a plane, I even listen to podcasts when I have trouble getting to sleep (some of my personal favourites are below). They’re not all business focused, some of them are just smart people who I explore ideas that I find interesting. Writing: not as much, or as well, as I aspire to, but writing helps me to construct my thoughts and feeds into the development of my own ideas. Sometimes it’s a stream of consciousness kind of blurt and then sometimes it’s trying to put myself in a position where I can see someone else’s point of view. Sometimes it’s this where I’m sharing what has worked for me. Thinking: putting time aside to think is not something I have a special place or space for (yet, I would really like one). Lots of people I know talk about the benefits of meditation and I agree with them, but I spend a lot of time in my work life at a desk/ in front of a screen, so I tend to combine thinking with exercise. I started running because I really hated it, and I keep running because it makes me feel physically tired and allows me to just think. I deliberately don’t run with music. At the start of a race recently I heard one participant say to his running buddy, “How do you do this without music? If I have time to think about this I’ll start to ask myself why I signed up for 21km” – it made me smile. Participating in groups: I recently signed up to a group challenge online. No one is going to check what I’m doing but it’s creating an action list for me, not all of the items need action but so far, it’s been a good experience to re-align and re-focus on some basics. I am in the fortunate position of working with technology teams; things keep changing and there are constantly new things to learn and grapple with, so learning is part of my everyday. It’s this learning that allows me to keep developing, contributing to my own knowledge and sharing it with the teams that we work with. 6R don’t specifically align with one type of software or system, we are constantly learning new software, processes and about the people that we work with.